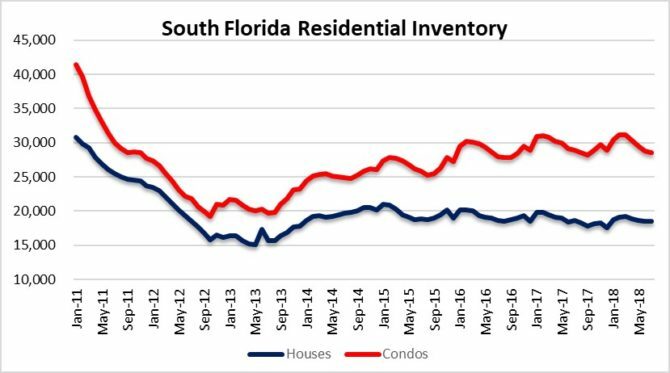 We are watching closely as the charts of South Florida real estate may be changing. 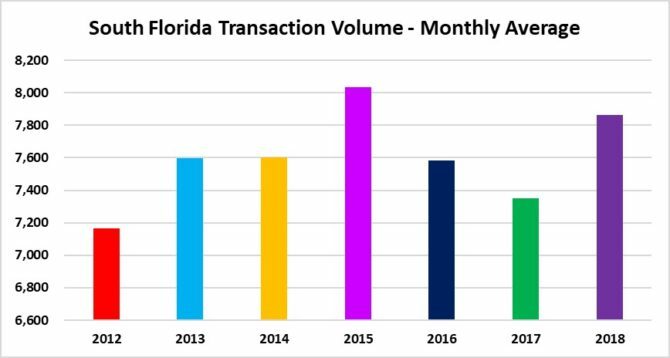 Today we will look at the sale prices, transaction volume and foreclosure activity in Miami-Dade, Broward and Palm Beach County Florida. Just as the speculators are getting excited (again), they may be the bag holders for the second time in a decade! Our first chart today clearly shows prices declining. 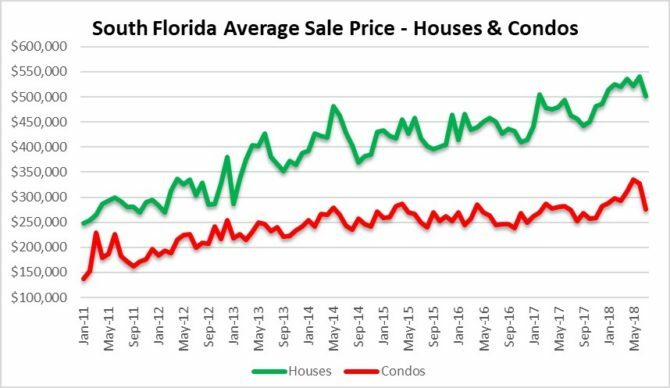 From June to July, the average sale price of a house in South Florida dropped 7% while condo prices dropped 16%. We expect this trend to continue over the next several months. The number of transactions dropped in July as well. The number of houses sold declined from 4,353 in June to 3,845 in July. This represents a 12% decline. Condo sales in South Florida dropped 14% from 4,788 in June to 4.098 during the month of July. Transaction volume will usually set the tone for sale prices. If we see the number of closed sales continue to drop, prices will follow that trend downward. As far as the annual average number of closed sales, South Florida is actually o.k. for now. With a monthly average of 7,943 closed deals, we are up over 2016 and 2017. You will notice from the chart that 2015 was a big year for South Florida real estate activity. 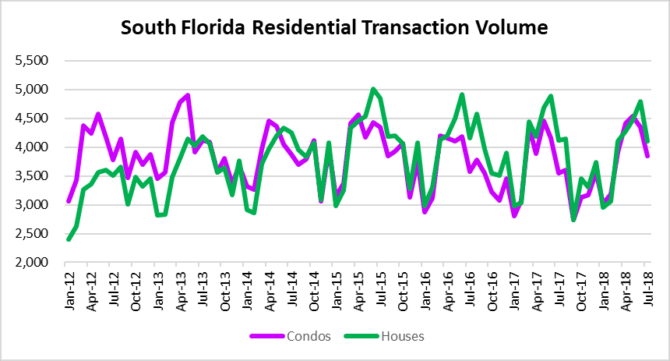 As the transaction volume declines over the next few months, it will be interesting to see if the residential inventory starts to climb. It has been held in check for awhile now, but we may finally see it start to increase again as the market softens. In July there were 28,501 condo properties and 18,508 houses listed for sale in South Florida for a total of 47,009 residential properties. We would love to include a chart of the average days on market for listings, but that data continues to be manipulated by real estate agents as recently reported and does not provide an accurate market snapshot. As listings go stale, agents have a habit of cancelling / relisting properties and that impacts the days on market. We anticipate that this problem will worsen as market conditions deteriorate. This entry was posted in Condo market, Market Insight, Single-family homes, South Florida Real Estate and tagged Fort Lauderdale real estate, housing bubble, Miami real estate, Palm Beach real estate. Bookmark the permalink. Both comments and trackbacks are currently closed.